This post is by H J DeWaard and was originally posted on her blog. We are re-posting it here with some modifications. Are you going? It’s this week! The Educational Computing Organization of Ontario – ECOO BIT 2015 (@BIT2015, #bit15) – is happening in Niagara Falls Wed. Nov 4 – Fri. Nov 6. Bringing IT Together is the theme, and all things education and technology is the focus. Can’t go (#notatbit15) but still want a conference experience? 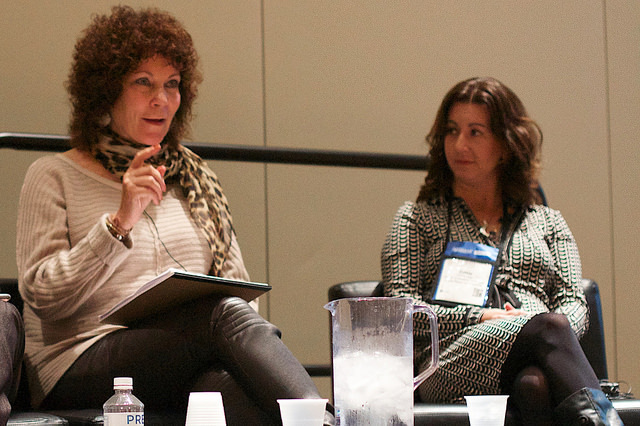 Meet keynote speaker Sylvia Martinez (@smartinez)on Nov 5 at 10am ET virtually. If interested, leave a comment here, or tweet to me at @hj_dewaard or to our virtual buddy for the event Patrice Torcivia Prusko @profpatrice. 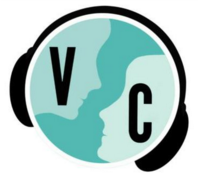 It’s a Virtually Connecting event – the first @VConnecting in Canada AND the first one held at a K-12 educational conference. You can be part of it! Participate virtually with an on-site buddy (me) to build connections and conversations. Conferences bring people together. ECOO’s been doing it for almost 30 years! It’s a place to share and exchange ideas, best practice, innovations and experiences. It’s not always easy for those who organize these conferences but it’s a valuable exchange of learning for those who attend. It’s not always easy for those who don’t get to attend where a sense of FOMO (fear of missing out) may be experienced. This year, you can join in or watch from virtually anywhere in Ontario, Canada or globally. I’m preparing to attend and present at the annual ECOO conference this week. Just making some final adjustments to my Wednesday morning session on digital storytelling and inquiry. It’s almost time to pack and check all the necessary digital toys and tools. Twitter is keeping me informed and helping to make connections to others attending the conference (@BIT2015 and #bit15). But BIT 2015 is going to be a different experience for me. I’m going to host a live, virtual conversation with one of the keynote speakers, Sylvia Martinez. She has agree to spend time connecting to people who can’t get to the conference. She will meet me after her keynote address to talk to people who wish to have a informal conversation with her in a google hangout. If you’d like to bring IT together and join, connect with me through Twitter or email (links below). This hangout will be broadcast live, so you can watch in realtime if you can’t join in. It’s also available for viewing after the event. The link for viewing is included at the end of this post. In this way, the conference experience is extended outward. It’s a way to bring IT together through informal, spontaneous conversations. This opportunity is also bringing IT together for me in ways I had not anticipated. Since I’m about to meet her, I thought I’d do some research into what Sylvia Martinez is doing in ed tech spaces and what she may share with people at ECOO BIT 2015. Her work is interesting to say the least. She was part of the team that designed the GPS. Her work focussing on math resulted in the development of Math Blaster software – making a comeback from it’s 1990’s debut. She advocates for empowering learners by allowing for tinkering, making and inventing in the classroom, particularly with 3D printing and MaKey MaKey. Her book, co-authored with Gary Stager, Invent to Learn, is a go-to resource for educators when integrating ‘making’ into their teaching practice. Her latest blog post How to Course Correct STEM Education to Include Girls presents ideas on how to move beyond discrimination and systemic bias for girls in STEM to integrate “real-world topics, real research, real projects, real tools and tangible technology”. So it’s only natural to bring IT together with Sylvia Martinez using Virtually Connecting since it is a making and tinkering space. 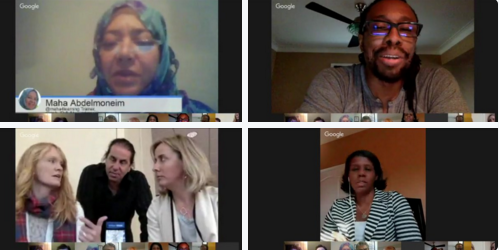 I’ve been virtually connecting as a participant in digital spaces to have conversations with people attending conferences focused on topics of interest (HASTAC, Digital Storytelling, ISSOTL, Educause). This will be the first time I’m the onsite host and trying to connect with others both virtually to engage them in conversations with keynote speakers and physically while at the conference. If you want to learn more about Virtually Connecting, check out this web site where information, links and hangouts are collected. If you are interested in joining into a virtual hangout, contact me through twitter (hj_dewaard) or Patrice Torcivia Prusko (@profpatrice) or email (hj.dewaard[at]gmail.com) and I’ll send you the join link for Thursday morning’s session with Sylvia Martinez. I’m also connecting to set up other on-site conversations, so if you can’t get to ECOO BIT 2015 and would like to talk virtually with someone you know will be at the conference, let me know. I’ll be your virtual conference buddy.